Vinyl Replacement Windows, or polyvinyl chloride (PVC), are the most prevalent replacement window material in use today and represents the largest market share in the window remodeling business. There is a reason why vinyl is the preferred material for replacement windows. Vinyl is a material that can be extruded which is an important attribute for a well-built window. A window frame is created with hollow areas since in order to bridge the thickness of the exterior wall. If the window were made solid, it would be overly expensive, incredibly heavy, and would not have great insulating properties. During the manufacturing process, the frame of a vinyl window is created by extruding raw vinyl into complex shapes and chambers to provide size and strength. Unlike other window materials, vinyl windows will never lose their shape over many years. Another positive aspect to vinyl replacement windows are their ability to resist heat transfer. So if it’s cold outside, vinyl does a good job of keeping the heat inside your home from escaping outside. Conversely, if you are in a hot area and are spending money to keep your home cool, vinyl will perform well by keeping that heat out and the cool in. Windows made from vinyl are strong while providing very good energy savings! Vinyl windows come equipped with moderate to high R-values meaning that they are resistant to heat flow. The higher the R-value, the greater the energy efficiency – which will additionally save you money on heating and cooling costs in the long run. Vinyl Windows are one of the most affordable replacement window options available. They come in a wide range of prices so there really is a product available for every budget. In addition, you can choose from many different colors. The color is actually part of the vinyl and not paint, which essentially makes them scratch resistant. Vinyl Replacement Windows are easily customized and are available in a wide range of styles, shapes, and sizes. If you live in a busy neighborhood, vinyl windows provide another great advantage in noise reduction. Vinyl windows prevent outside noise from entering your home by offering a peaceful barrier between you and the outside chaos. These units never need to be scraped, painted, or stained. They virtually scratch free and maintenance free so whatever their age, your windows will always look great! Vinyl windows also come in styles that can flip down, swing up ,and even pull out for easy cleaning and light maintenance. 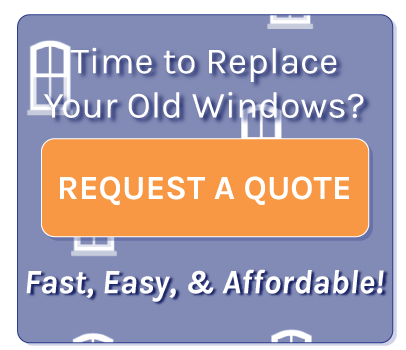 Whether you are looking for esthetic reasons, energy efficiency, costs, or ease of maintenance, vinyl replacement windows are clearly your best way to go!